This has got to be one of the funniest videos I’ve seen in a long time! When this puppy noticed his chance to take control of his horse and take him for a walk, he seizes upon it and does just that! He leads his horse along and just COULDN’T be more excited about all the power he has in the reins! – You’ve just got to see how this puppy leads his horse around, craziest thing I’ve ever seen, LOL. 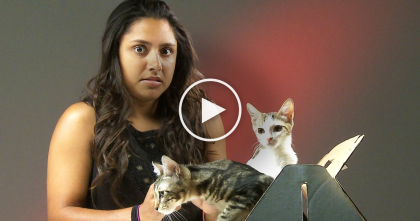 They never knew their puppy would like doing this SOO much… Just watch the video! These Kittens Go Crazy Trying To Fix The Wallpaper, And They Just Won’t Give Up, LOL!! 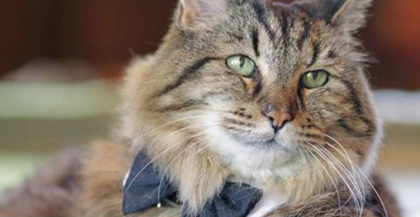 He’s 124 Years Old In Kitty Years And The Oldest Cat Alive…WATCH His Story, Amazing!! 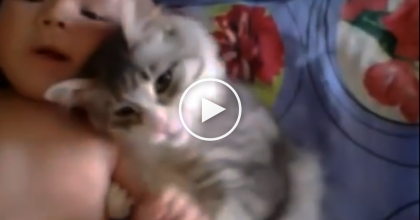 Most Adorable 57 Seconds You’ll Ever Watch Today, When Cat Snuggles Up With Baby… Awwww!! 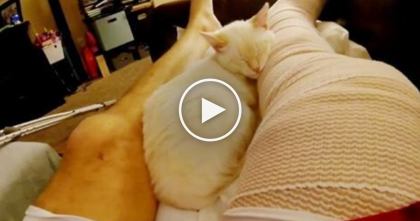 He Broke His Leg, But Now Watch How The Cat Is Caring For Him… It’s Just Beautiful, Awww! !